Fiat’s 500L manages to cram loads of space and versatility into a surprisingly compact body, so it’s easy to drive in town, yet big enough to accommodate all the family. Think of it as a rival to the Ford B-Max and Vauxhall Crossland X. The Fiat 124 Spider is a glamorous-looking roadster that competes with the most popular convertible of all time, the Mazda MX-5. 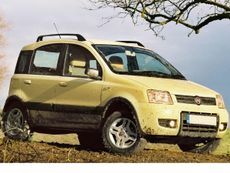 And considering the quality of the competition, it’s handy that the 124 shares most of its mechanicals with its rival. The Tipo Station Wagon is Fiat’s answer to family estates like the Ford Focus and Vauxhall Astra. It concentrates on providing impressive space for a rock-bottom price. The Tipo is Fiat’s answer to family hatchbacks like the Ford Focus and Vauxhall Astra, but it concentrates on providing impressive space for a rock-bottom price. It’s not the most pleasurable car, either to drive or to sit in, but if you’re just after competitively priced transport, there’s plenty going for it. Fiat got into bed with Mazda to produce the new 124 Spider. Has the love child been worth the charm offensive? The Fiat 500’s funky looks have made it one of the most popular city cars in Britain, and the 500C – with its opening fabric roof – is arguably even more desirable. Read the Fiat 500L hatchback (2012 - ) car review by Auto Trader's motoring experts, covering price, specification, running costs, practicality, safety and how it drives. 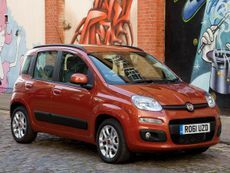 Read the Fiat Panda (2012 - ) car review by Auto Trader's motoring experts, covering price, specification, running costs, practicality, safety and how it drives. 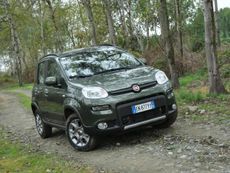 Read the Fiat Panda 4x4 (2004 - 2012) car review by Auto Trader's motoring experts, covering price, specification, running costs, practicality, safety and how it drives.